With the recent devaluation of the Argentine peso and the introduction of low-cost airlines, travel to Argentina with kids (or not) is suddenly much more affordable for international visitors. Argentina has long branded itself as the country of tango, wine and meat. Buenos Aires has a reputation as a top gay-friendly destination. 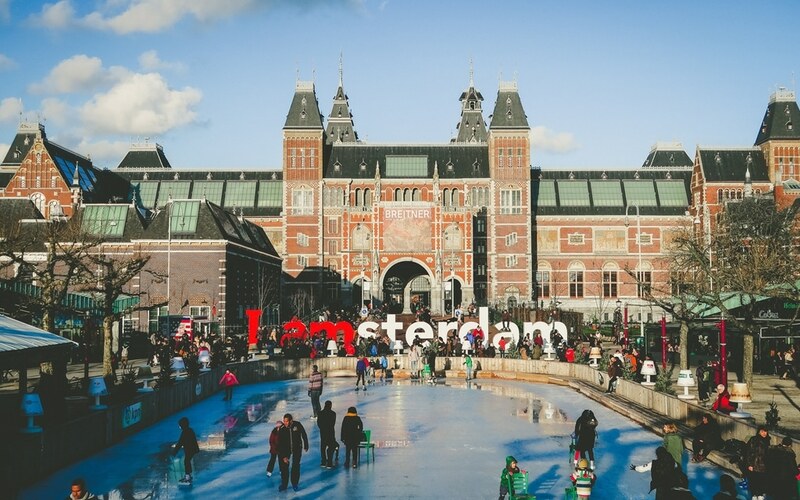 It is also an incredibly kid-friendly destination. 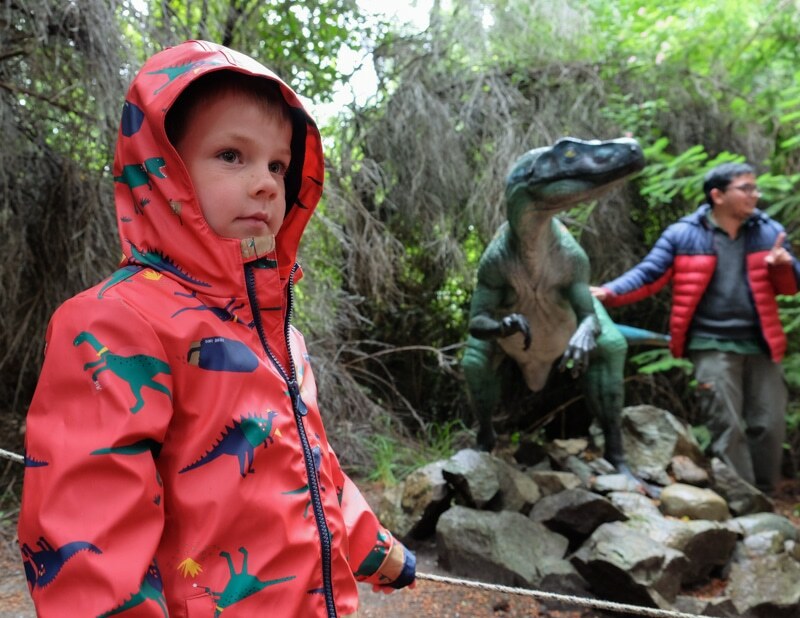 Having lived in Argentina with a kid for the past year and a half, we’re surprised at how often we come across dinosaurs and dinosaur-themed attractions. Considering some of the most recent exciting paleontological discoveries have been made in Argentina, we wonder why it isn’t a more central part of its tourism marketing campaign. 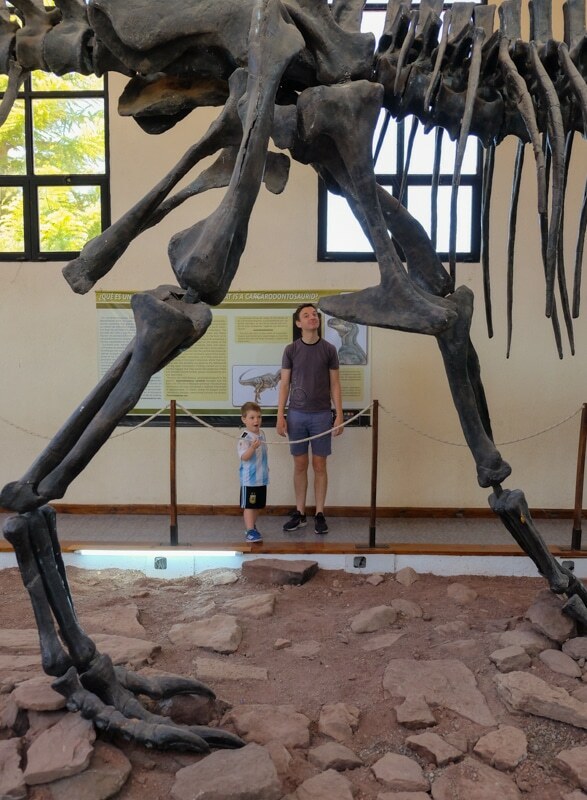 Here are some of our favorite dinosaur attractions in Argentina along with nearby activities for those with diverse interests. 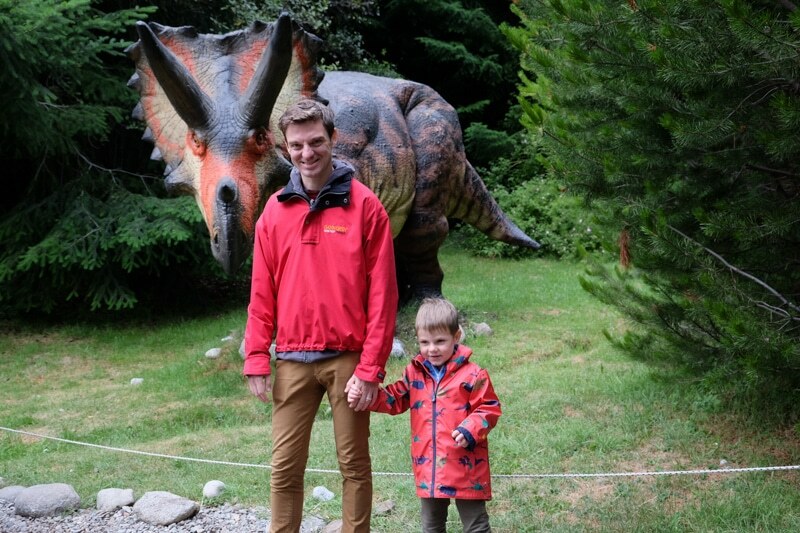 This Patagonian outdoor park has life-size dinosaur replicas. Guided tours around the park offer an entertaining mix of scientific information, myth busting and general dinosaur lore. This is where we found out about the Argentinosaurus and that the T-Rex was not a hunter but in fact a scavenger. Parque Nuahelito is on the Circuito Chico which combines Bariloche’s lakeside and mountain charm. It is a stone’s throw away from the Patagonia Brewery, a great place to stop for a beer and a snack or dinner (and generous kids menu!). Further along the Circuito Chico are various hiking trails and the Cerro Campanario chair lift which also operates in the summer and offers amazing views of the surrounding mountains and lakes. In the winter, Bariloche is the hub of South American skiing. About a 4-hour drive away from Bariloche is the lakeside resort town of El Chocón. Its Municipal Paleontological Museum (Museo Paleontologico Municipal) has a manageable dinosaur collection. 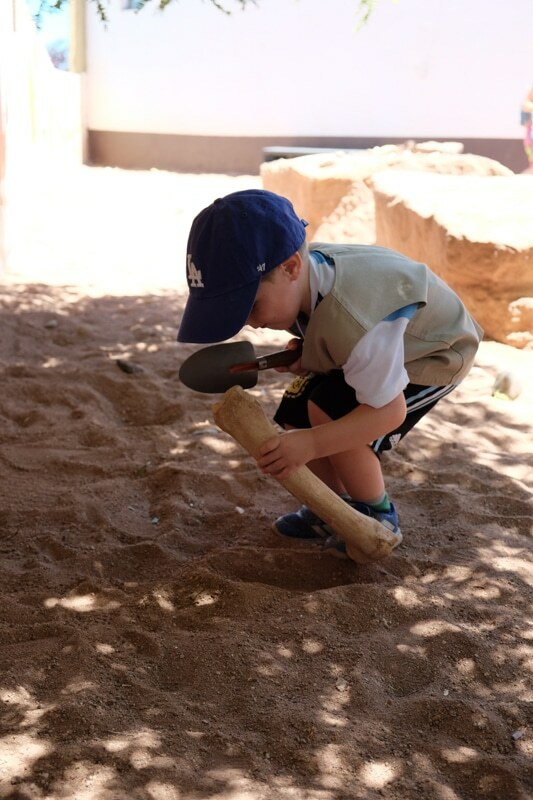 But perhaps most fun is the Paleontologist-for-a-day activity where kids get outfitted with a vest, a trowel and a brush and dig up “dinosaur bones” (replicas) in an enclosed courtyard. Head to the Posada del Dinosaurio for lunch and amazing views of the lake. If you are up for another day in Northern Patagonia, head to the Familia Schroeder Winery. One of their main wine lines is called Saurus, so named because as they were preparing the land to plant vines, they discovered dinosaur fossils. There aren’t too many places where you can combine dinosaurs with wine tasting and a vineyard tour! 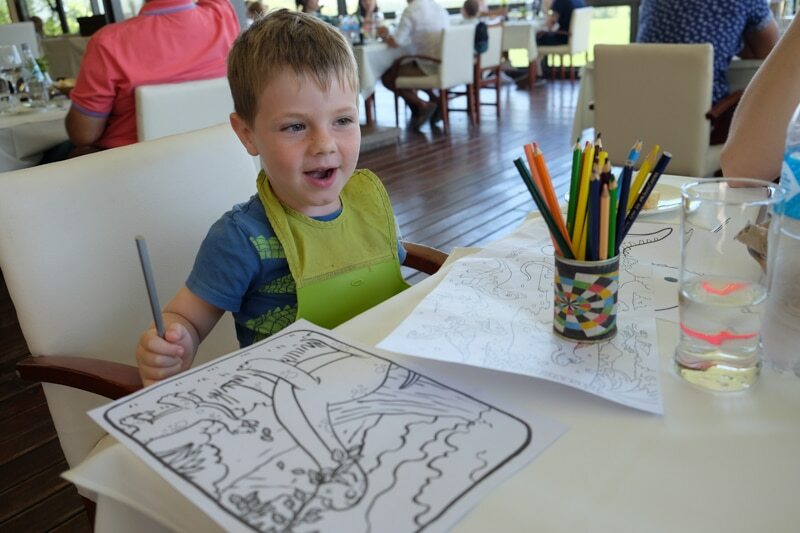 And while you’re sipping on your Malbec Rosé, they will provide dinosaur drawings and crayons to keep your little one busy. The restaurant is worth the trip in its own right. 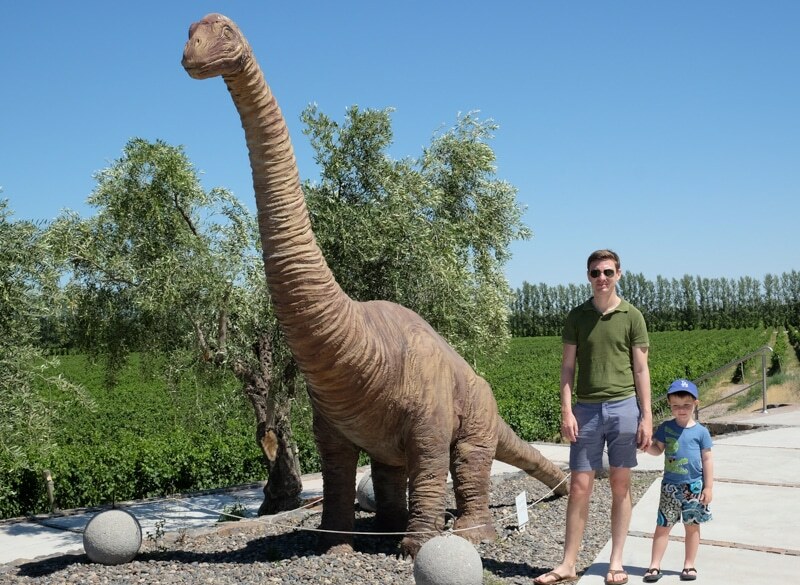 If you are interested in hitting up the Mendoza wine region (home of Malbec) while traveling to Argentina with kids, you can easily tack on a dinosaur detour in the Valle de la Luna and the Parque Ischigualasto, a 5-hour drive from Mendoza. The guided driving tour of Ischigualasto includes a stop at an excavation site where they explain how dinosaur bones and fossils were discovered in the area. Valle de Luna also has an outdoor collection of dinosaur replicas. No trip to Argentina with kids is complete without a stop in its capital, Buenos Aires. 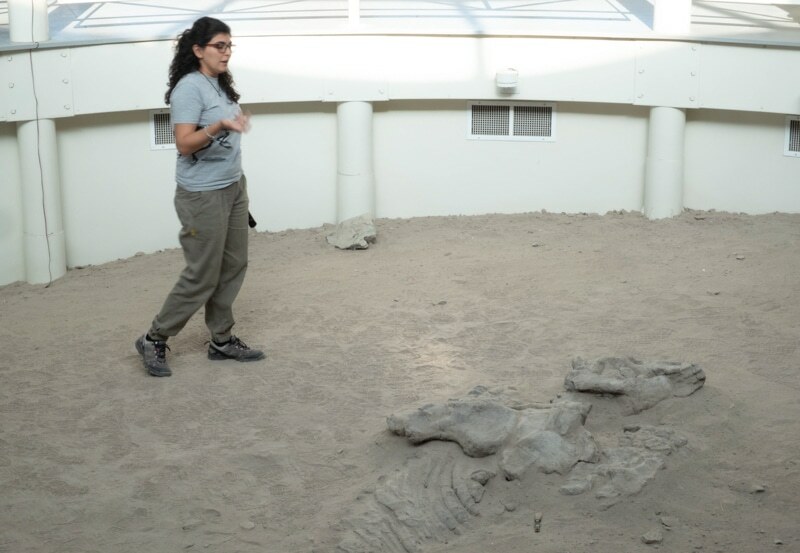 Both the Natural Sciences Museum in the center and the Natural Sciences Faculty of the La Plata Museum in the provincial capital have solid dinosaur collections. Remember when you travel to Argentina with kids that it’s in the Southern Hemisphere. Here the seasons are flipped in relation to the Northern Hemisphere! Luckily dinosaur museums and activities are available year-round! So add Argentina to your bucket list! Interested in more Big Adventures with Little Ones? We have a whole series of articles to inspire you!